How do you create a fantastic working environment and a happy workforce? It’s the million dollar question which many companies are looking to answer. Building an award-winning culture takes work, not just from the HR team but from everyone in the business, and so buy-in from the senior management team is crucial. For senior management this should be a no brainer, because having a happy workforce and an awesome company culture delivers far-reaching rewards. It’s a fact of modern business that by investing in a happy, engaged workforce you’re also investing in your customers. Getting it right internally is good for everybody. Here’s how you can create your own award-winning company culture. Instead of focusing on a nine-to-five office culture, can you give your staff flexibility, and (within reason) trust them to work when and where they want? If possible, encourage remote working and allow employees to work from home. You’ll need to put some measures in place to make this work, for example by making meetings remotely accessible, and providing contact centre staff with WiFi telephony and mobile headsets for when they’re not at their desks. You may also need to put some guidelines in place for homeworking, or ask teams to put together their own. For example, staff may need to give a certain amount of notice if they want to work remotely, and they may be required to come into the office for certain meetings. It’s also a good idea to create flexible working spaces for when your staff are in the office! Consider joining groups and signing up to pledges so that you can work alongside other organisations to increase diversity in your workforce, and speak to your staff about ideas for promoting diversity and making your organisation open and welcoming to everyone. If your organisation is quite male-dominated, for example, you may decide that you’ll interview equal numbers of men and women for new roles, and you’ll put succession plans in place to ensure you have both men and women ready to fill future management roles. However big or small a company is, managers should think about how they can provide opportunities for career development; for example by offering training, skills sharing, secondments and leadership programmes. To retain and motivate your staff, provide clear avenues for career progression. Consider running coaching programmes and leadership development programmes, and provide training and promotion opportunities for staff who are keen to progress! How could you make your workplace a more pleasant place to be? Perhaps you could offer morning yoga classes and mindfulness sessions, or run a ‘wellbeing week’ with things like free health checks and talks on topics like household budgeting and healthy eating. Ask your staff what they’d enjoy most! And what about team-building trips? Everyone loves a good two days off to connect with their everyday colleagues! Make sure your business is engaging with the local community, and provide opportunities for your staff to raise money for charity or to volunteer their time. Also, make sure you’re ‘giving something back’ to your staff for all their hard work! Forging partnerships with local charities and raising money for them is a brilliant way of giving back to your community. It’s also something that your staff can really engage with, and it provides great opportunities for team-building outside of the office. Be creative with your fundraising efforts. As well as payroll giving schemes and bake sales, consider running ambitious company challenges that your staff can seek sponsorship for, and holding promise auctions in which employees can bid for skills, services or products offered by their teammates. It’s great that you’re aiming to build a brilliant culture, but you need to make sure that you’re living up to your values and that your staff are happy. Key to this is a non-hierarchical structure and an environment that encourages people to speak up. This makes it easier for people to talk openly, and to be honest about how they’re feeling about their job and their company. When you’re thinking about your own company culture, start with your values, making sure that the ones you have actually strike a chord with your staff. Involving people from across the business in defining your values is a good way to do this! Next, think about how you can use your values to underpin what you do as an organisation, from flexible working to community engagement. Finally, make sure you’re getting feedback from your staff – both formally and informally – on how they feel about the company culture, and that you’re creating an open environment where people can offer honest opinions. 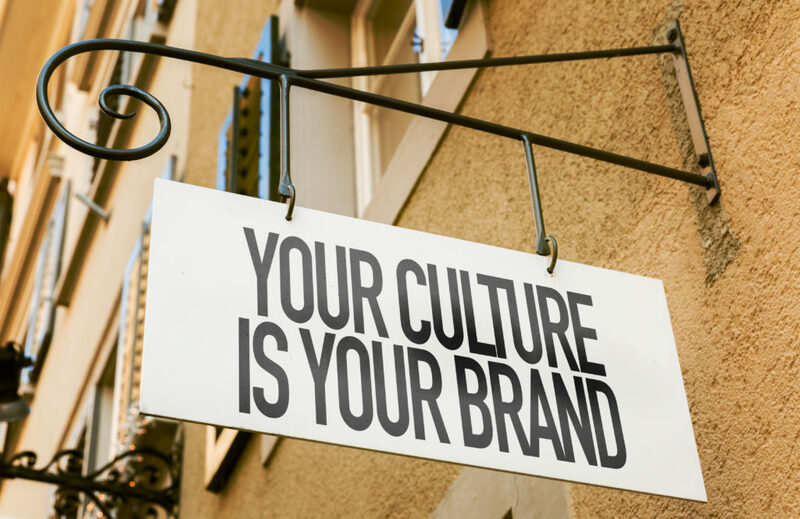 How are you building your company culture? Let us know in the comments sections below!